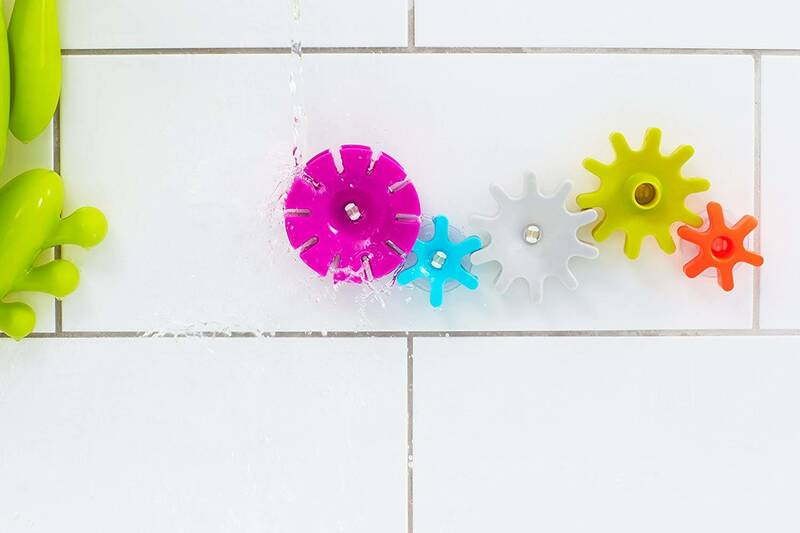 Gears + water = hours of bath time fun. 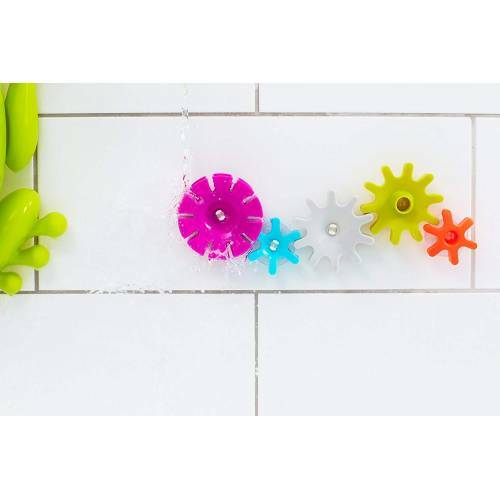 Cogs suction to the bath walls and spin when water is poured over them. Positioned just right, they work like a fine-tuned (though not well-oiled) machine. 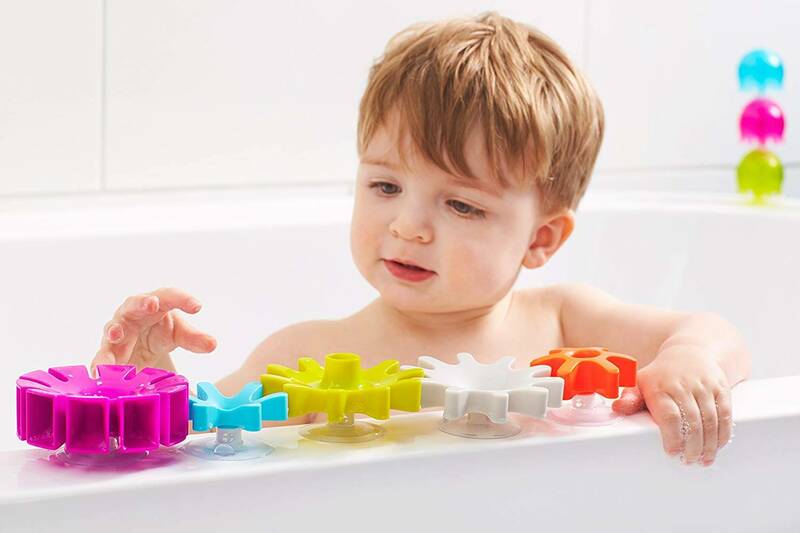 Use Cogs with Pipes Bath Toys for maximum fun. Gear heads unite!